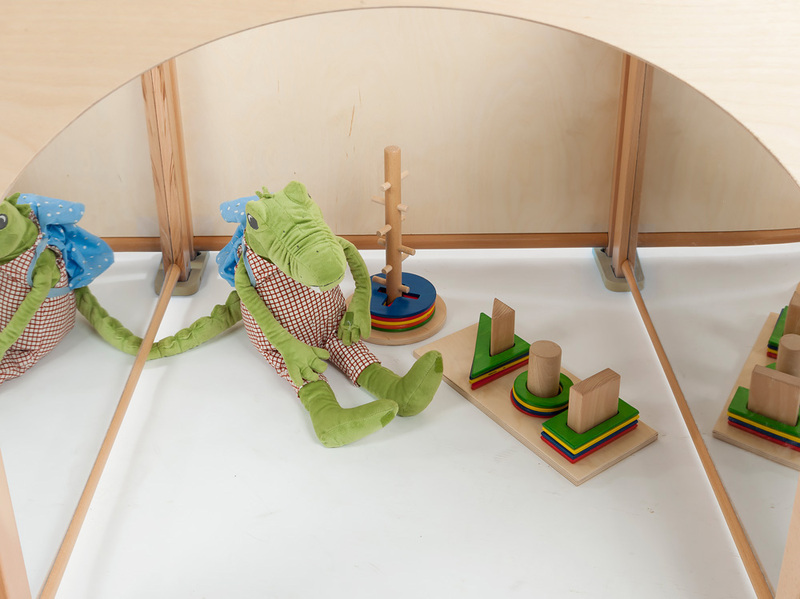 The cosy den mirror set includes 3 mirror toddler play panels as well as a low archway panel and a fabric cover. Linked together in a square the panels create a cosy den ideal for reading, rest or play. 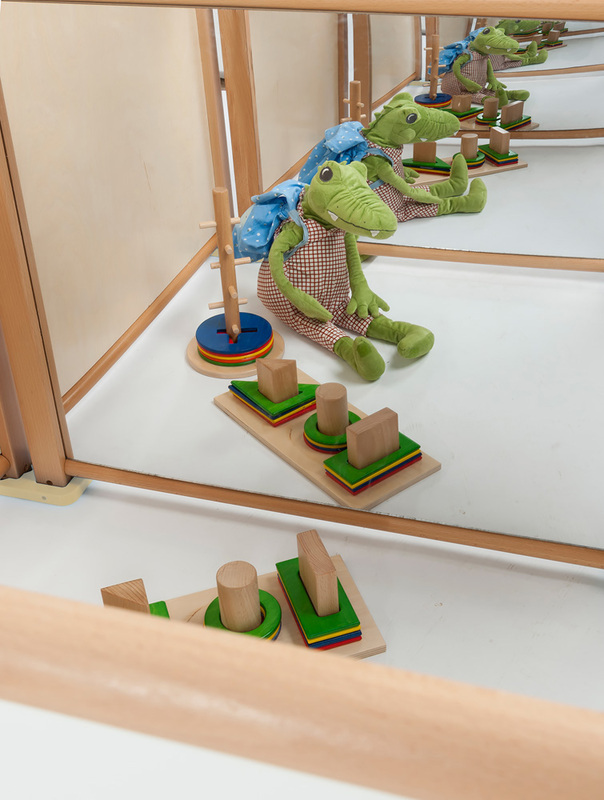 The 3 mirror panels create an infinity mirror effect inside the cost den which will pique the children’s curiosity. Constructed from high quality premium hardwood in a natural finish and supplied with linking kits to form your toddler cosy den. Please note: the toys and the blanket inside the cosy den featured in the product images are not included with the cosy mirror den set. For more information please Contact Us or call us on 01733 511121.